Edward McKendree Bounds prominently known as E.M. Bounds, was an American author, attorney, and member of the Methodist Episcopal Church South clergy. He is known for writing 11 books, nine of which focused on the subject of prayer. Only two of Bounds' books were published before he died. 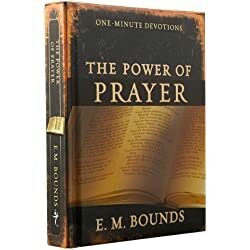 E.M. Bounds had a significant impact on my life on the subject of prayer. His thoughts and ideas about prayer have stayed with me all of my life. These E.M. Bounds quotes are some of the best. I hope you enjoy them. 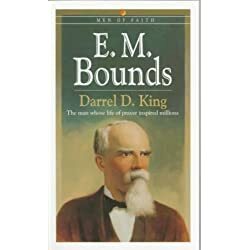 Edward McKendree Bounds prominently known as E.M. Bounds was an American author, attorney, and member of the Methodist Episcopal Church South clergy. He is known for writing 11 books, nine of which focused on the subject of prayer. Only two of Bounds’ books were published before he died. As you can see, E.M. Bounds had a passion for God and souls. 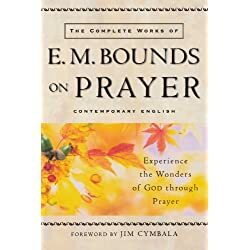 What are some of your favorite E.M. Bounds quotes and sayings? Please feel free to share them in the comments section below. I am sure others will appreciate your addition to this collection of quotes.